Denene and her crew. Back row: Patrick, Denene, Ryan, Jamie. Denene Robinson started at Semiahmoo House Society in 2005 and a year later she landed the position as Support Worker for Janitorial Services, a subset of the Employment, Training and Support Program at Semiahmoo House Society. In her role, Denene trains new comers to the program and supervises the crew who provide cleaning services to The Treehouse. In addition to teaching participants about janitorial work and safe practices, she is resolute on coaching them as individuals based on their personal needs and preferences. Denene is a big believer in the person-centered approach and she integrates the philosophy in everything she does. This means assisting each of her team members to pursue their passion. As I spoke with Denene, it became evident that she is also very, very skilled at her job. Not only has she been working in the field for 18 years, she possesses great leadership attributes coupled with authentic love and caring for the people she supports. She has taken the time to understand them individually and what makes them function well collectively. Further, Denene has grown up in a household where her mother provided care for three people with developmental disabilities, in addition to her own autistic brother. “Denene is a good supervisor. She’s organized and loveable. Her personality, ah! 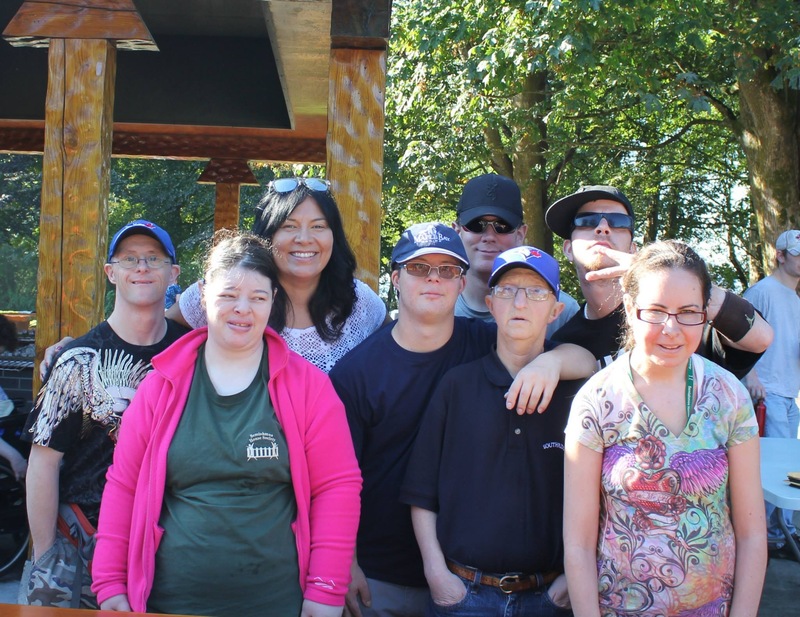 This entry was posted in Blogs by Louise Tremblay, Uncategorized and tagged community living, developmental disabilities, employment, inclusion, leadership, Semiahmoo House Society by The Semiahmoo Foundation. Bookmark the permalink.